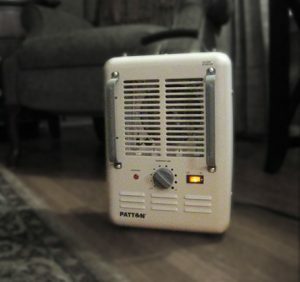 Space heaters can be dangerous and expensive - Broad River Electric Cooperative, Inc.
Space heaters can be an effective way to warm specific rooms in your home without having to crank up the thermostat. However, there is risk involved, both to your safety and for increased power bills. Then close off that room from the rest of the house. But space heaters cannot come close to replacing energy-efficient central heating or weatherization improvements. So while it’s technically possible to cut your heating bill by using space heaters, for most people, it can be impractical, especially if both a central heat source and a portable heater are running simultaneously. There are two types of space heaters – direct radiant and convection. The right choice depends on the room and how you plan to use the heater. Radiant heaters are quiet and ideal for heating a specific spot They primarily heat objects and people directly in front of them. Convection space heaters are designed to heat the air in an entire room. This is often done using a built-in fan to circulate room air over the heating elements. Ceramic convection heaters are a safer choice around young children. The Consumer Product Safety Commission estimates that more than 25,000 residential fires every year are associated with space heaters. Space heater hazards stem not just from fires caused by contact with or close proximity to heating elements. They also include fires started by flammable fuels used in the heaters, defective wiring in the appliance, and carbon monoxide poisoning caused by improper venting or an incomplete combustion of fuels. For more information, call our member care center at 866-687-2667 or visit broadriverelectric.com/smart.